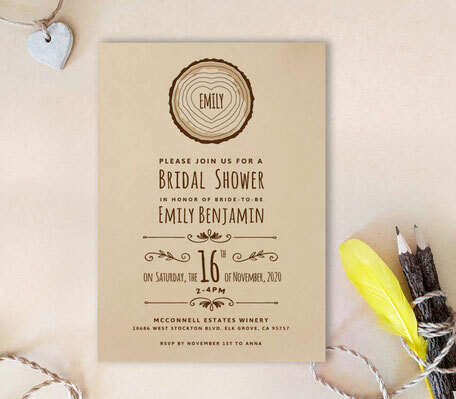 Compliment your outdoor bridal party with our one-of-a-kind Rustic Wedding Shower Invitations! 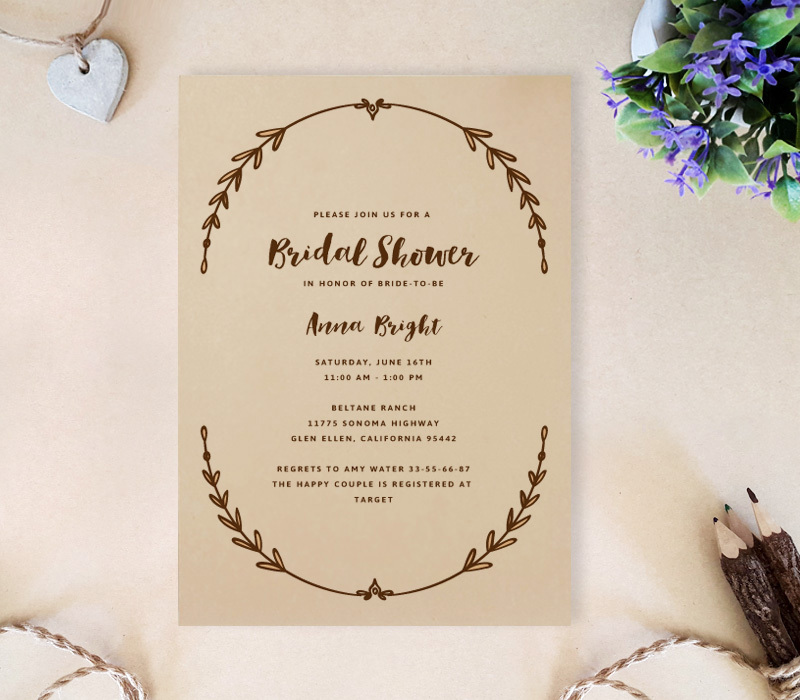 Surrounded by a woodsy border, our modern rustic invites will let your guests know all the important details about your upcoming bridal party. 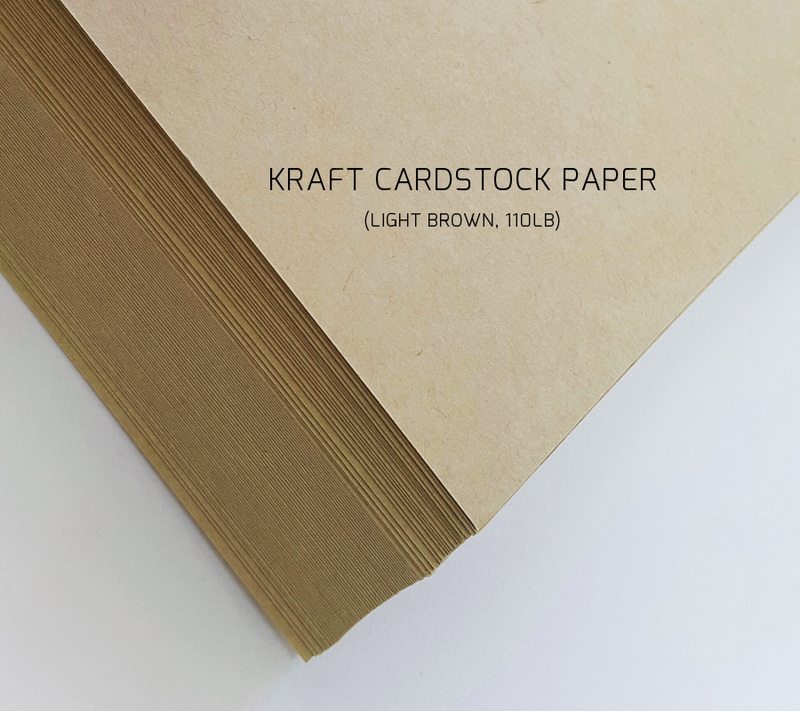 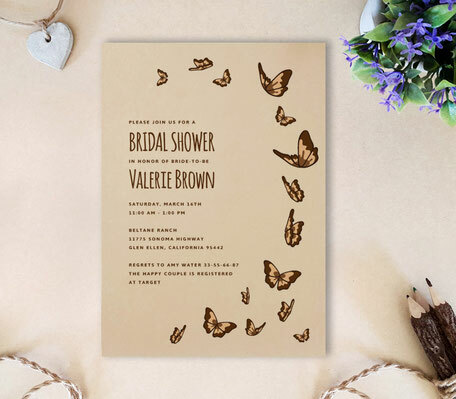 These wedding shower invitations are printed on tan kraft paper.